Hyperledger Executive Director Brian Behlendorf will moderate a panel with Hyperledger members Richard Gendal, CTO for R3, Umar Farooq, Head of Digital Channels and Innovation at J.P. Morgan, Ram Komarraju, Head of Innovation and Technology Delivery for CLS, as well as Cliff Richards, Executive General Manager of Australian Stock Exchange. Join Hyperledger Security Maven David Huseby, along with Hyperledger members Digital Asset CEO and Hyperledger Governing Board Chair Blythe Masters, BBVA Head of Digital Transformation, Corporate & Investment Banking, Alicia Pertusa, CLS CIO Thomas Zschach, as well as representatives from Chain and Mizuho Financial Group, Inc. in this security-focused discussion. Join Hyperledger Executive Director Brian Behlendorf, and Hyperledger members IntellectEU CEO Hanna Zubko and MonetaGo CEO Jesse Chenard for a fireside chat on the use of blockchain technologies in PoCs, pilots and in production deployments around the world. Hyperledger VP of Worldwide Alliances Daniela Barbosa will moderate a fireside chat with Hyperledger Governing Board members DTCC Managing Director and Chief Technology Architect, Robert Palatnick, and Global Head of Accenture’s Capital Markets Blockchain practice, Dave Treat. Can Blockchain Enable an Efficient International Trade Network? Join us in the Hyperledger Booth A01 on Tuesday and Wednesday for member demos of PoCs and pilots built with Hyperledger technologies! See Hyperledger-powered applications built by member companies to address market requirements across industries. Learn more about the demos. If you’re attending Sibos, stop by Hyperledger booth A01 and say hi to the team! Be sure to plug into the Hyperledger community at github, Rocket.Chat the wiki or our mailing list. 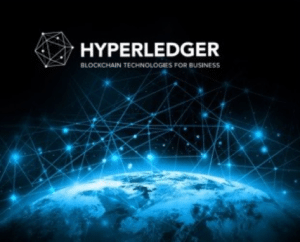 You can also follow Hyperledger on Twitter to keep up to date on the latest events or email us at info@hyperledger.org for more information.